N Blog (110124 14:05) – ‘Tabata ～ Tabata’ | Where's Natsuki? Today, at last, the train I rode’s route went through Tabata Station! How that intonation is so different! And I noticed it was near Tabata! 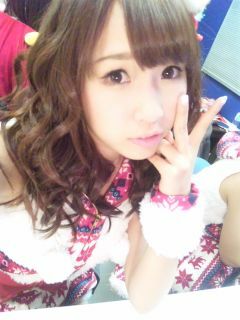 This entry was posted on Monday, January 24th, 2011 at 7:20 pm and is filed under AKB48, N Blog and 佐藤夏希. You can feed this entry. You can leave a response, or trackback from your own site.